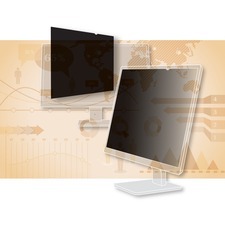 Protects data on notebook and LCD monitors. Micro-Louver technology provides frontal viewing and blacks out side view. Eliminates glare and increases contrast. Includes cleaning cloth and mounting tabs. 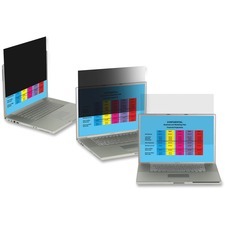 This premium display filter protects your onscreen data on notebook and LCD monitors. Micro-Louver technology creates a narrow frontal viewing angle that blacks out side views from prying eyes. 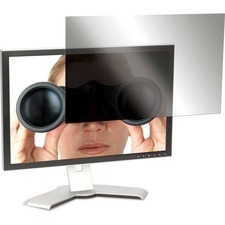 Also eliminates glare and increases contrast to reduce eye strain. The innovative overlay design is easy to install and remove. Includes cleaning cloth and mounting tabs. 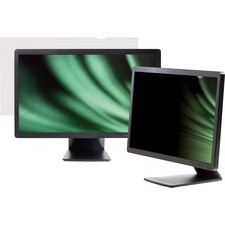 Diagonal Monitor Size: 19"; Fits Device Type: LCD; Frame Type: Frameless; Maximum Antiglare Protection Percent: 99%.